As you may know, legendary skincare leader Erno Laszlo has been adored by countless Hollywood starlets since our inception in 1927. The brightest star among them was undeniably Marilyn Monroe. As a devoted user and personal friend to Dr. Laszlo, she has become a very important part of the Laszlo legacy. To honor her memory, we have decided to throw her a party for her 84th birthday! 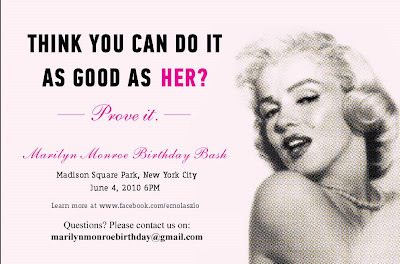 We’re calling on all Marilyn look-alikes and fans to attend! 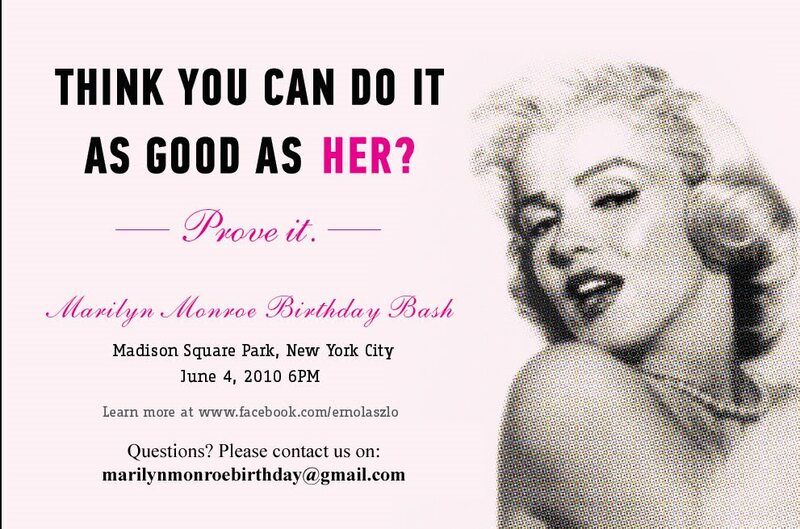 So, on June 4th at Madison Square Park, let’s all dress up like Marilyn and celebrate!